Eduardo Ferreira de Paula is a member of COOPAMARE, São Paulo, one of the first wastepickers’ cooperatives in Brazil. He’s been working as a “catador,” or wastepicker, for 23 years. 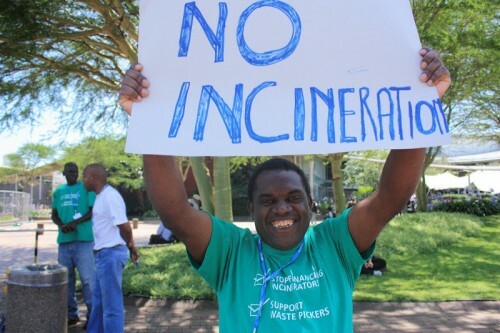 In addition to working as a wastepicker, Eduardo is a representative of the National Wastepickers’ Movement in Brazil (Movimento Nacional dos Catadores de Materiais Recicláveis) and of the Latin American Network (La Red Latino Americana y del Caribe). “Many comrades have talked about the rights of waste pickers,” Eduardo said. And today many waste pickers are organized. But he would like to see further advancements, such as a political movement in favor of retirement benefits for waste pickers. What is lacking, he said, is the political will to make something like this a reality.